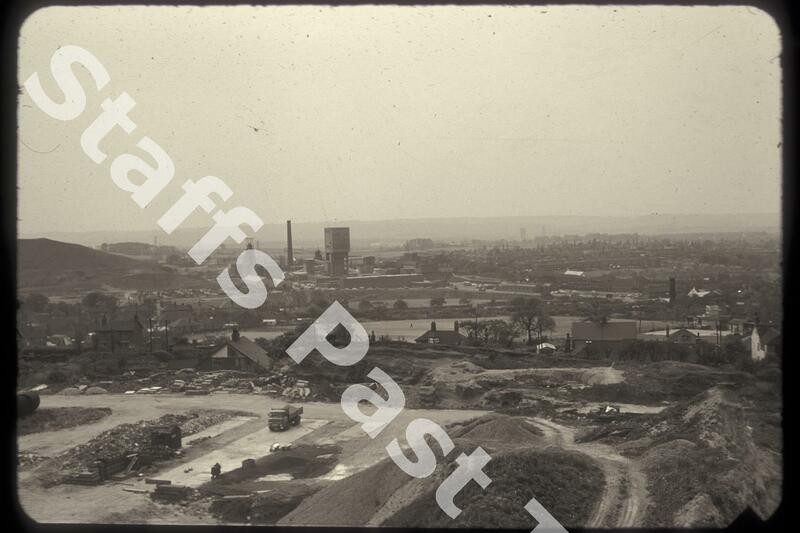 Description:This photograph was taken from Read's sandpit and quarry on Start and Garter Road in Normacot looking westwards. At over 600 feet (190 metres) above sea level, this is one of the higher points in the city. On the skyline is the ridge at Hanchurch. 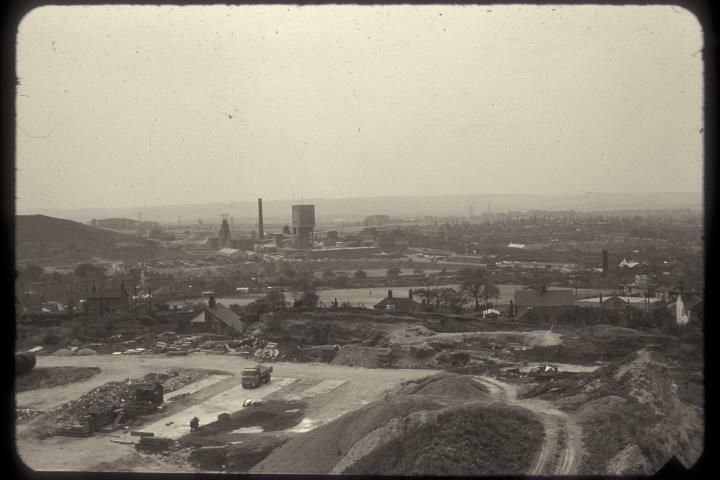 The winding gear of Florence Colliery is in the centre of the photograph and almost hidden in the mist farther away to the right are the towers of Hem heath Colliery. Florence and Hem Heath were joined underground and merged in 1974. Florence closed in 1994.